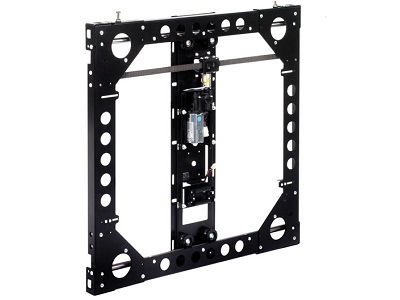 There are two models available the PICSLIDE1, PICSLIDE2 accommodating flat screen Televisions from 32" up to an impressive 55"
Future Automation is one of the world’s leaders in designing and manufacturing innovative automated lifting mechanisms designed to conceal televisions and AV equipment. This is one of the latest lifts developed part of the moving panel range. The Picture Slider provides a horizontal stroke motion for sliding a piece of artwork to reveal a concealed TV behind. The Picture Slide is available in two different models catering for screens up to 55 inch. The lifts are shipped with an IR remote control set and can also be configured to use RS232 along with contact closure. The Artwork Slider features dead stops on the motor allowing the installer to set the exact amount of travel required; in addition to this the lift can be configured to slide to the left hand side or the right hand side. 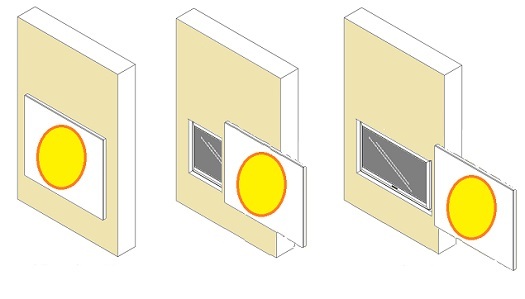 The picture sliding mechanism has been made to be used in conjunction with a recessed wall mounted TV. The lift holds the framed artwork 10mm of the surface of the wall to avoid any rubbing or obstructions during the travel stroke. The mechanism operates smoothly with full control over the length of travel which slides the artwork across to one side to reveal the concealed TV behind. Unlike the vertical picture lifts the horizontal slider is flush mounted to the wall and is a great alternative if you don't have the ceiling clearance for the vertical lifts. If you require any help with this product then please speak to one of our expert advisors on 0800 669 66 00. AV Installs also provides full installation and consultation services with this product and can also assist customers in getting artwork printed and framed if required. If you would like more information give us a call today on 0800 669 66 00. Max Screen Size 42" 55"
Example of Motorised Picture Slider Movement. With a press of a button the picture smoothly slides across in either direction to reveal the flat screen TV behind.